Ten Rules- Rule 2 part 1! The fundamentals of this rule are simple. Accomplishing them is somewhat more difficult, but you have to have a goal. You can raise your own queens to meet these standards or find a breeder and producer that is already doing it. But leaving things to chance is not going to cut it. The first part of this rule, heck the first part of both rule 1 and two dealing with queens is that far too often, mostly always but not quite, we take the queens we can get, rather than getting the queens we want. And here’s one way to help solve that. 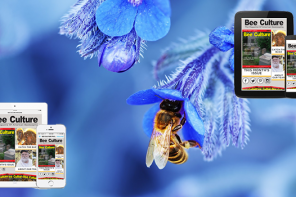 If you are buying queens make sure they are involved in the Bee Informed Program being monitored for problems, and then, that they are actually doing something to solve those problems. Ask point blank “Are you part of the BIP program?” if the answer is no, find another queen supplier. So, good genetics. 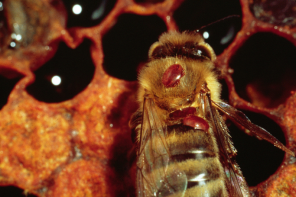 Is the queen you are using producing bees that are adapted to both your location, and your management style? If not, you’ll end up fighting the bees all the time, instead of working with the bees all the time. Was the selection process aimed at your seasonal timing…early flow, nothing to speak of in the summer, a fall flow and then a mild winter, or, late, late springs, long flow, no fall flow and long, hard winter. Or probably something different. If you have bees that sleep in during the spring, and your first flow isn’t until dandelions, you might be OK. But if your first flow is January maples, then willows, then more maple then dandelion, you’ve not only missed the boat, you’ve probably missed the season. Do you have long, hard winters…from October to April? Then you’ll need bees that can accommodate those dates…enough food stored in the fall…part of that is your management too, don’t forget. And then not lots of brood until late winter, early spring so there’s enough food stored without you having to feed, feed, feed every spring. You and your bees need to work together or neither of you will be successful. What about you? Are you waiting at the gate in the spring, getting things going so your bees have food, have room and have enough of everything else? Or are you gone most of the time, on the road for your job, or vacation, or just lazy? If your bees are ready and you’re not…not enough room, missed honey flows, swarming like made….you and your bees aren’t going to do well together at all. You’ll be mad, and they’ll be gone. Same thing in the fall…they need attention, wintering, feeding, medications…whatever it takes to make them ready for winter…and you’re gone. They starve, die from mites, freeze to death because you’re…not there, not doing your job, not taking care of business. Now if they were the kind of bees that close shop in late summer, eat almost nothing all winter, and slowly, slowly start up next spring…you’ll both be better off…so if that’s you…find those bees. Next time…good genetics should find you bees resistant to common problems, good producers in your area…and especially, they should be well behaved.